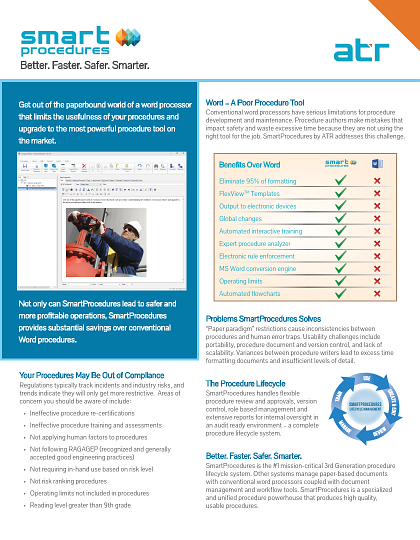 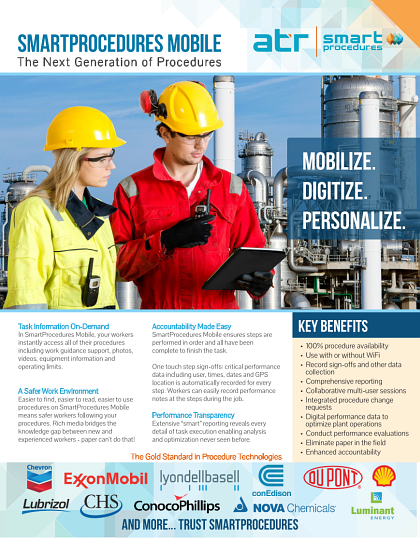 In SmartProcedures Mobile, your workers instantly access all their procedures including work guidance support, photos, videos, equipment information and operating limits. 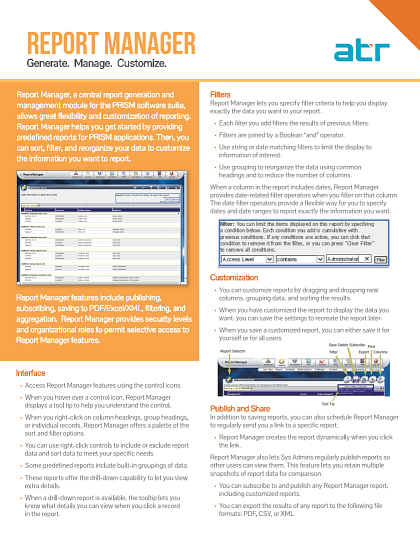 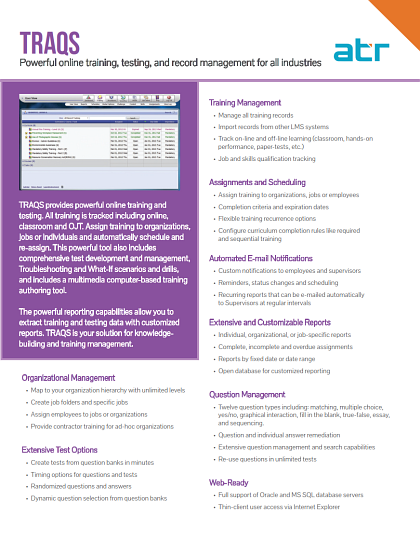 Report Manager is a central report generation and management module for ATR’s PRiSM software suite. 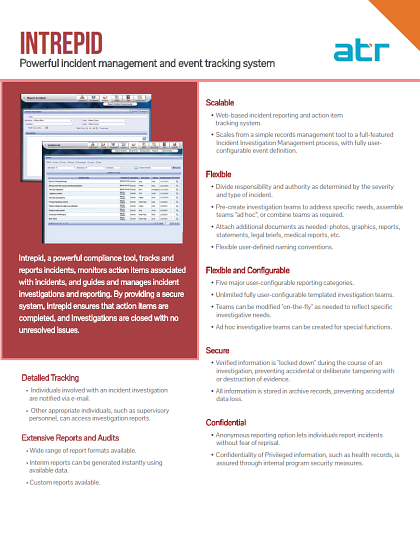 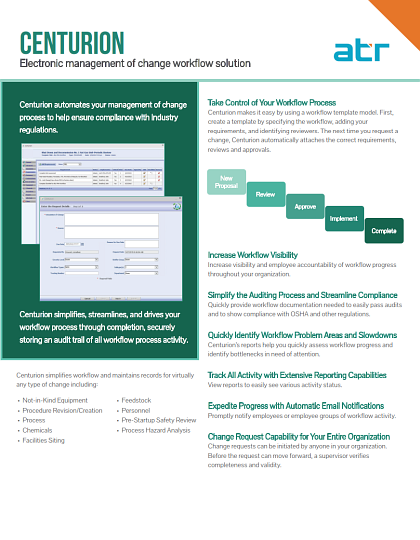 It allows greater flexibility and customization of reporting, and helps you get started by providing predefined reports for all PRiSM applications. 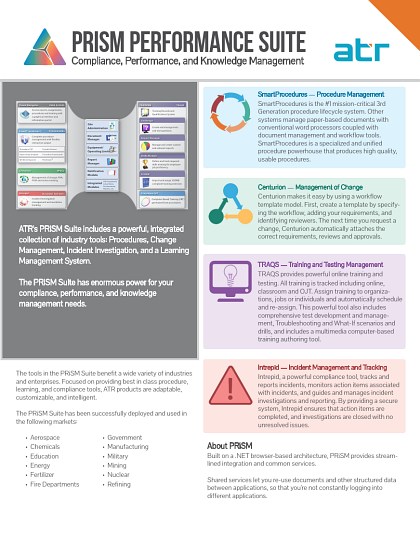 PRiSM streamlines critical processes throughout your business, such as procedure management, change management, incident management, procedure development and approval, and training.